You don’t have to compromise on style to have comfortable feet. 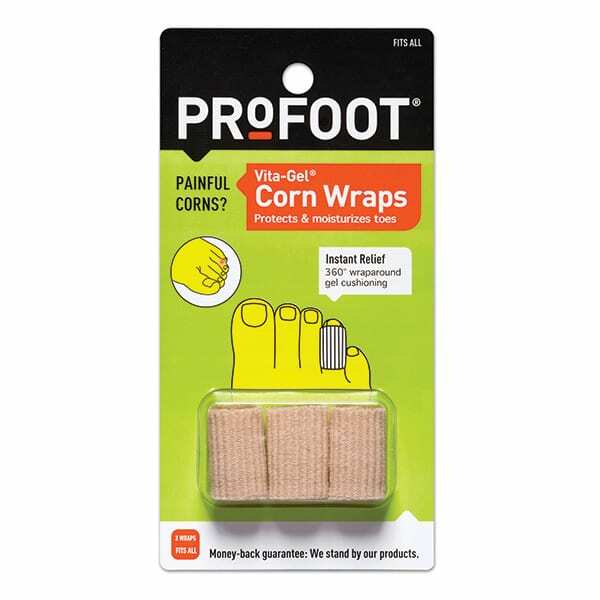 Use Vita-Gel™ Corn Wraps to wrap and protect your toes in any shoe. Their slimmer and lower profile fits easily while providing a much larger gel area than other brands. Plus they’re washable, reusable, and adhesive free. Meaning each Vita-Gel™ Corn Wraps offers you weeks of pain relief.